As a result of the Duck Boats sinking at Table Rock Lake and the loss of seventeen precious lives, we've talked a lot about gust fronts the past ten days. 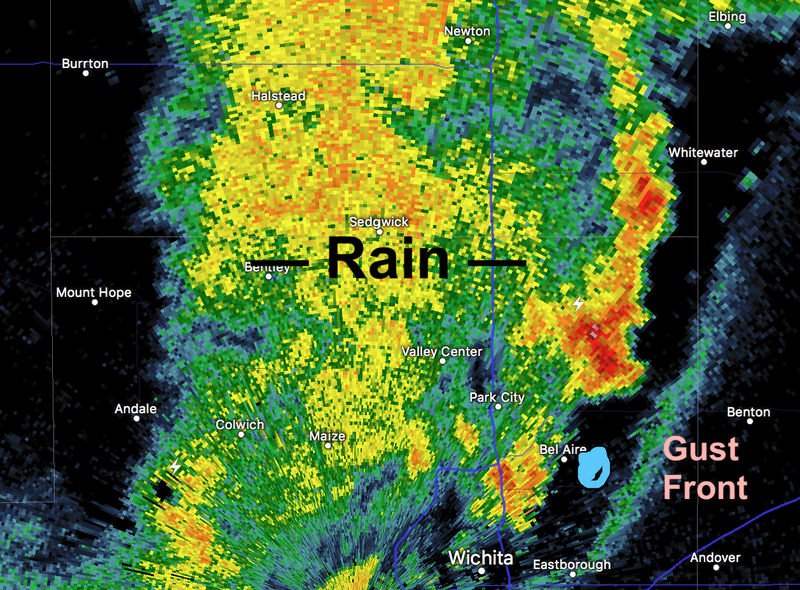 A gust front just passed my home in Wichita (dot). 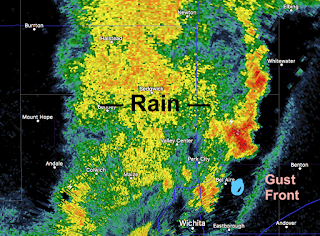 You can see the radar image below. So, I took my camera to the back yard, pointed it south southeast and grabbed some rather nice images. The sun was setting and the diffused lighting produced an orangish tinge to the turbulent underside of the gust front. The photos below are my two favorites. Enjoy!